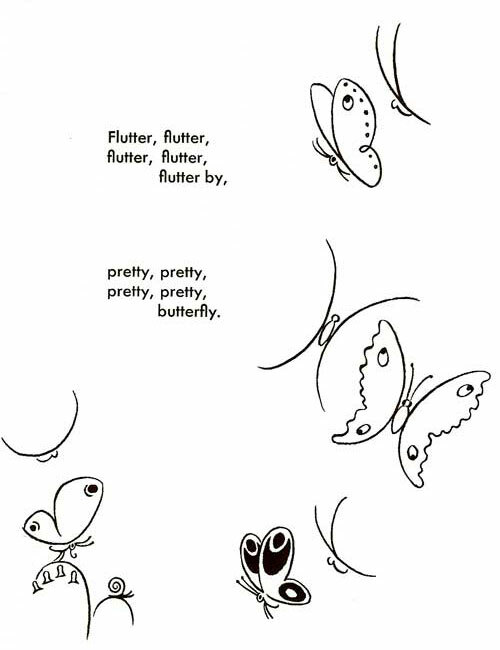 If you do a lot of crafts, you want to know how to draw butterflies. They make excellent accents or doodles on greeting cards, in scrapbooks, and even as stencils on walls. Usually the biggest challenge (if there are any with drawing butterflies) is getting the body of the butterfly right. You can use the bowling pin shape shown below, but if that's giving you trouble, try a modified figure eight shape, with the bottom part of the figure eight being drawn much larger than the top. Don't forget the cute little antennae. If you can draw a bunch of colorful butterflies and some climbing roses or any other flowering vine, you can paint a beautiful mural in a girl's room, or in the dressing room of a clothing store, or in any other kind of women's store. Butterflies are particularly good for this kind of decorative work because they come in so many colors. Pretty much any decor has a few butterfly-appropriate shades you can borrow.